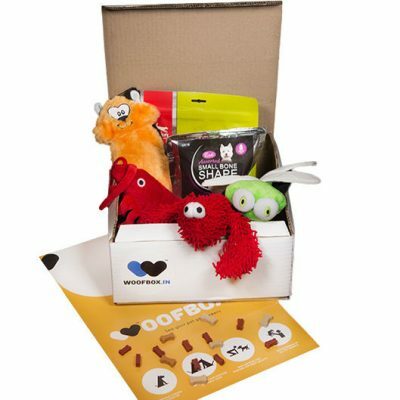 We have ordered two boxes for our Beagle, Obi and she absolutely loved everything – especially the toys! She takes it around everywhere and is super possessive about it! In addition, they also sent a bunch of really useful stuff for first time dog owners like us such as Lactol, a dog tag, a feeding bowl etc.. Love them for their customized attention to our needs and their follow-ups and advice!